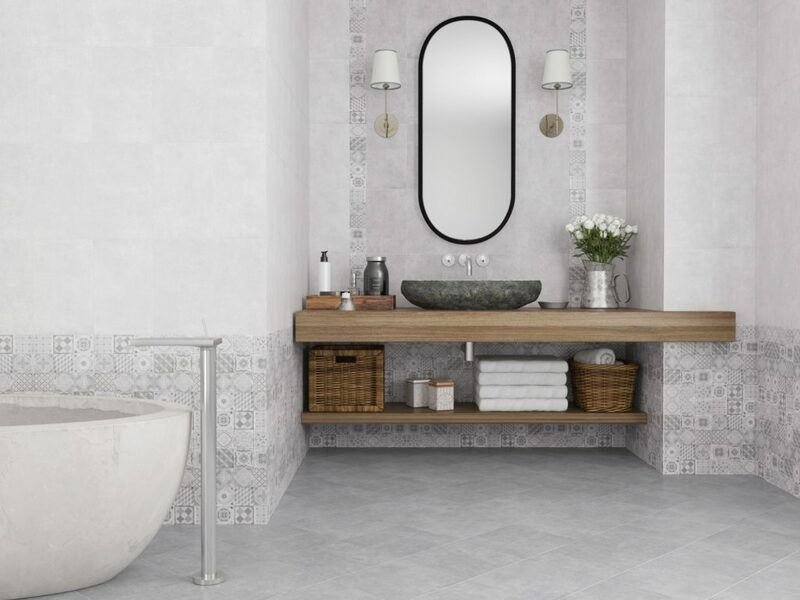 Leading tile distributor, Ceramique Internationale, has unveiled an exclusive new collection of glazed bathroom tiles, inspired by the on-trend cement effect. Echoing the contemporary character of cement in a trio of value-for-money 250×400 size wall tiles, the Abitare collection comprises stylish grey shades – Light Grey and Mid Grey. The popular wall trio is completed by a 250 x 400mm glazed feature décor wall tile. The muted pattern provides impact when used to create accent wall designs. Coordinating perfectly to create a modern, fresh finish on bathroom floors is the 330 x 330mm square floor tile, available in the slightly darker Grigio, which features a subtly varying background. These tiles offer the much sought-after metropolitan style with the added benefit of easy maintenance, making them the perfect choice for bathroom environments. All four tiles are competitively priced and are a great option for larger surface areas.